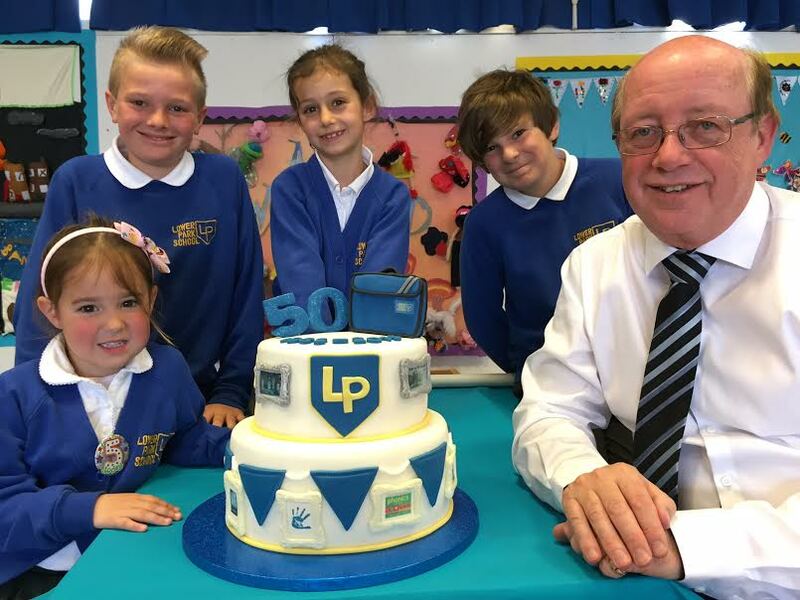 Lower Park School would like to thank the many hundreds of friends, colleagues, past pupils, current staff members and families who helped them celebrate its 50th birthday – a very special landmark in the history of the school. The first of the celebrations kicked off with just over 300 people enjoying a hog roast barbecue, music and dancing at an event that was superbly organised by Kate McLean, one of the School’s teaching assistants. On 29th April, the official birthday, all the children and staff gathered in the hall with a giant birthday cake. After Ian Coulson, the headteacher read from the 1965 school logbook, the children sang ‘Happy Birthday’ and a ‘Song of Blessing’ before being asked to make a wish for the school. Mrs Laffey, the head cook, prepared a typical 1965-style lunch of ‘mince and two veg’ followed by the dessert of Manchester tart. The children really liked it. After the school closed, past and present members of staff, governors and PTA members gathered together to share memories and celebrate the work of the school over the last 50 years. The school swing band and choir provided a musical start to the occasion before speeches were made. The current School Council chair, Maria Bateman, had written her own speech, talking about what Lower Park had been like for her. Her competent, confident and heart-warming speech was exceptional. Mr Colin Richards, chair of governors, also spoke with pride and conviction about the work of the school.